PERFECT FOR A BETTY BOOP COLLECTOR! 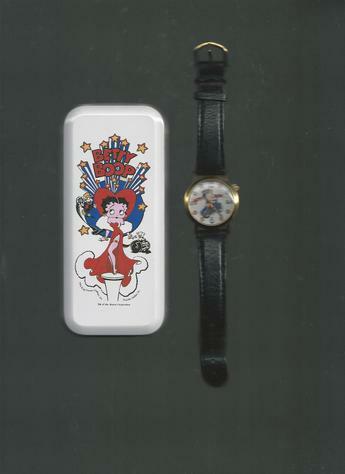 Betty Boop is on a motorcycle on this black wristband watch that has a silver-plated clasp. It is in its original stainless steal case. Like new condition. Battery not included. VERY LIGHTWEIGHT AND EASY TO READ TIME ON IT.